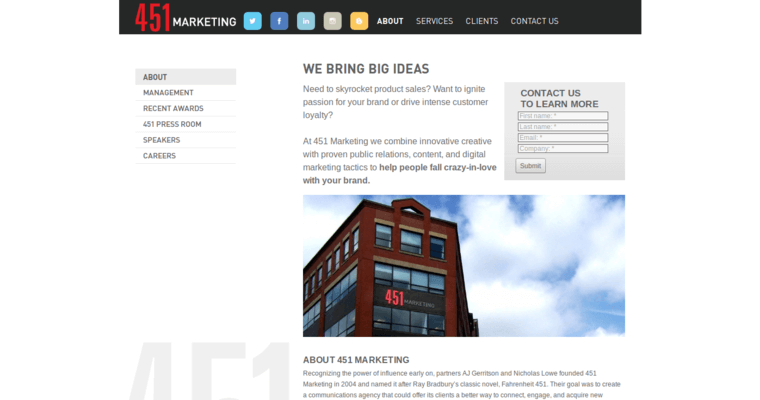 451 Marketing is a full-service agency that delves into the vast technology public relations division. The firm caters to all kinds of businesses that are part of the massive technology industry. 451 Marketing's office is in the New England region of the United States in the center of Boston, Massachusetts. People who want to track 451 Marketing's activities can assess its Instagram, LinkedIn and Facebook accounts. 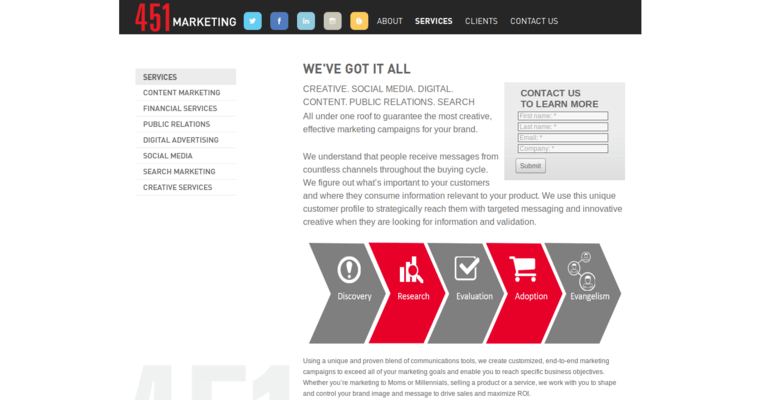 The employees at 451 Marketing aid clients with a broad array of digital and advertising specialties. They assist clients with influencer marketing, social marketing, reporting, measurements, brand identity, print production, optimization, assessments and ideation. Businesses that are trying to find guidance that relates to branding matters regularly stand by 451 Marketing. 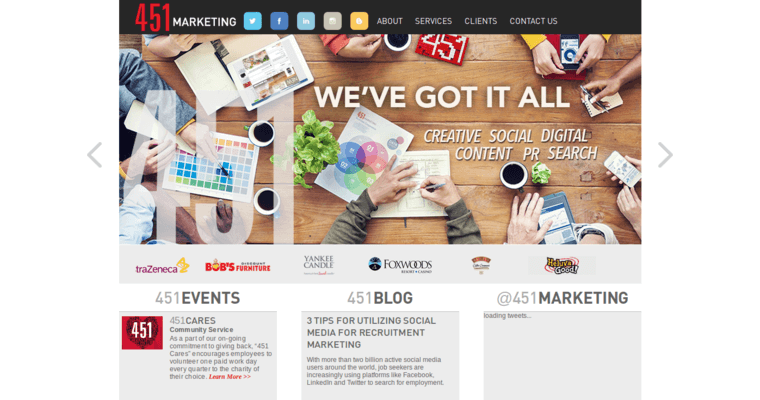 451 Marketing has well-rounded and adept professionals who have a lot of knowledge that goes into event marketing, naming, mobile web, web analytics, content strategizing, responsive websites, experience design and even digital media preparations.